Another Russian hacking job? Team USA opening-ceremony shirt looks like Russian flag. The Canada women’s soccer team also set a record for the fastest apology to an opponent for embarrassing them, because that's how Canadians are. "This content is not available in your location." A lot of Canadians are complaining about that in the comments. Must be because someone can make money off the video in Canada whereas a Canada-Australia women's soccer video has no value in the US. I'd apologize for the above comment, but I'm not Canadian. More seriously, the goal must be a thousand places on the web. Maybe even Yahoo! Canada? 2 games, 2 of the US' 3 goals (Alex Morgan, of course, had the other), beats #3 France, advances to the knockout stage, as do Brasil and Canada. Yeah, but her hair is in a bun. Vs. Colombia, currently tied 1-1, 41' LLOYD Carli (USA) has a shot saved by the goalkeeper, DUNN Crystal (USA) scores on the rebound! May not officially be a Carli assist, but might as well be. Michael Phelps, wow, Ryan Lochte, too. One theory is that it's an algae bloom due to warmer diving pool water and it being outdoors. I can see it being safe, though not aesthetic. I've swum in lots of algae tinted water. Shouldn't it have enough chlorine/chemicals in it to avoid algae bloom? I blame the gringo pool boy. Vrede too wrote: Michael Phelps, wow, Ryan Lochte, too. ... If one thing has colored Lochte’s incredible swimming career, it wasn’t his fitness or stroke or drive. It was his birthday. Lochte was born Aug. 3, 1984. Three hundred thirty-one days later, in Towson, Maryland, along came a baby named Michael Phelps. Had Lochte come of age at any other time – in the years before Mark Spitz, or the chasm between Spitz and Matt Biondi, or the time between Biondi and Phelps, or in the next generation once Phelps retires – he might have been known as more than a bridesmaid. The only other Olympians to accomplish the four-straight feat are Americans Carl Lewis (long jump, 1984-96) and Al Oerter (discus 1956-68). Phelps will have a chance to do it again Friday night in the 100 butterfly. ... 100-meter freestyle race at the Rio Games started immediately after Michael Phelps won his fourth gold medal of the Rio Games Thursday night. 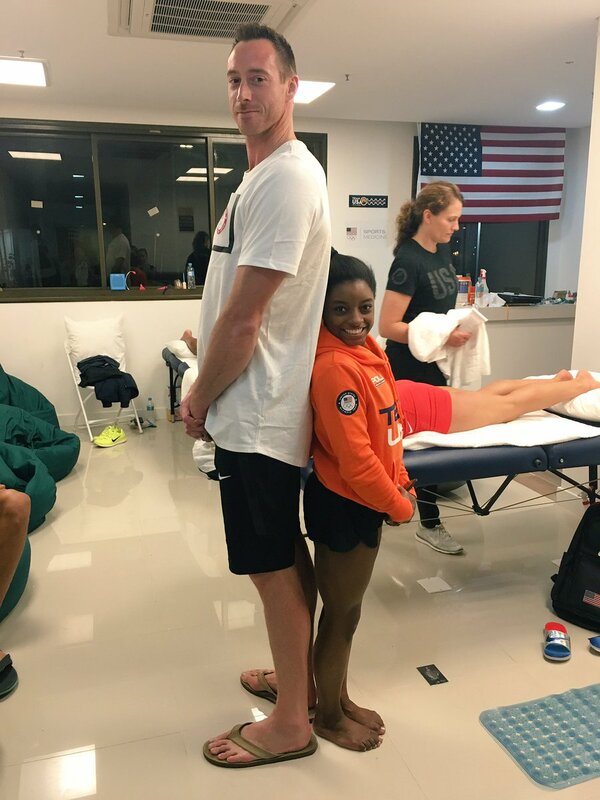 Simone Manuel made sure Phelps didn’t overshadow her. O Really wrote: Shouldn't it have enough chlorine/chemicals in it to avoid algae bloom? Oh well, the US women’s soccer team was ousted by Sweden on penalty kicks. That Hope Solo was such a graceless turd in the loss makes it easier to take. Go Canada, crush those Frogs this evening!